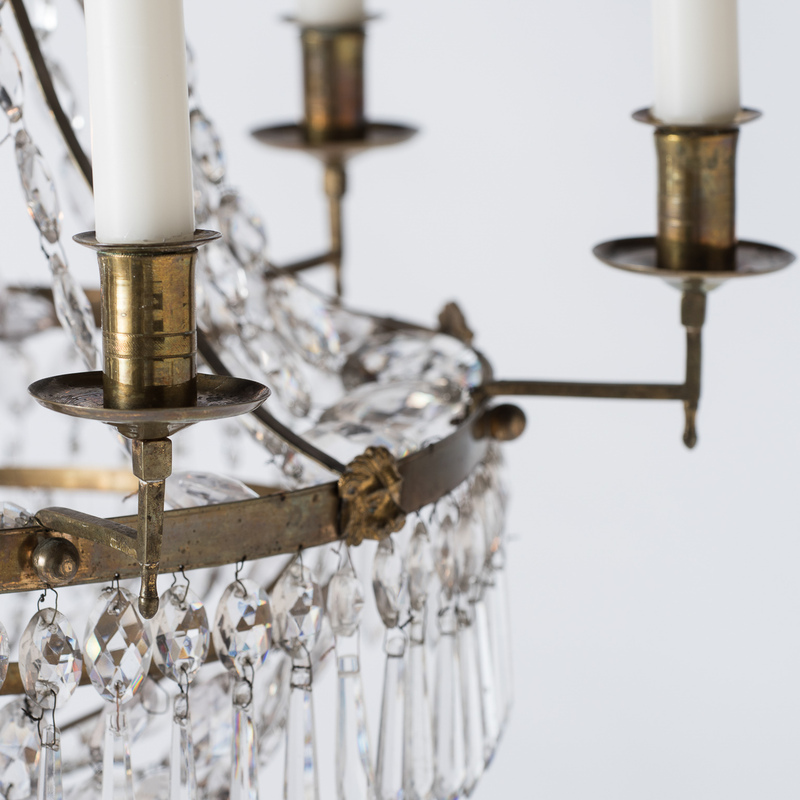 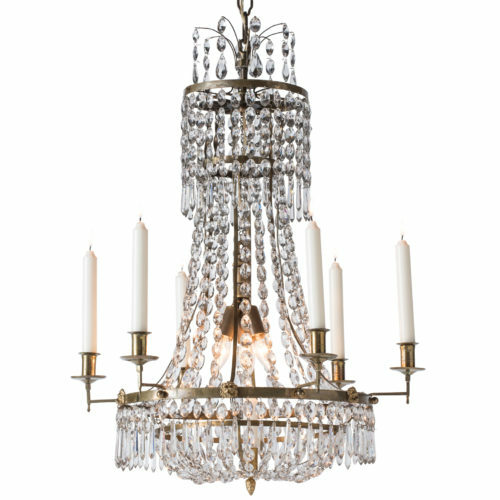 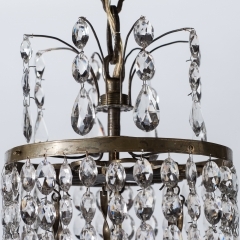 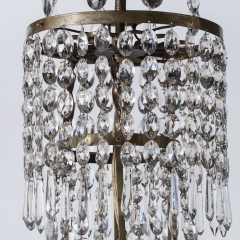 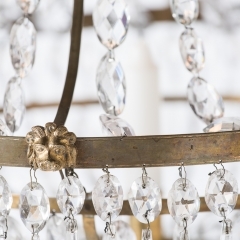 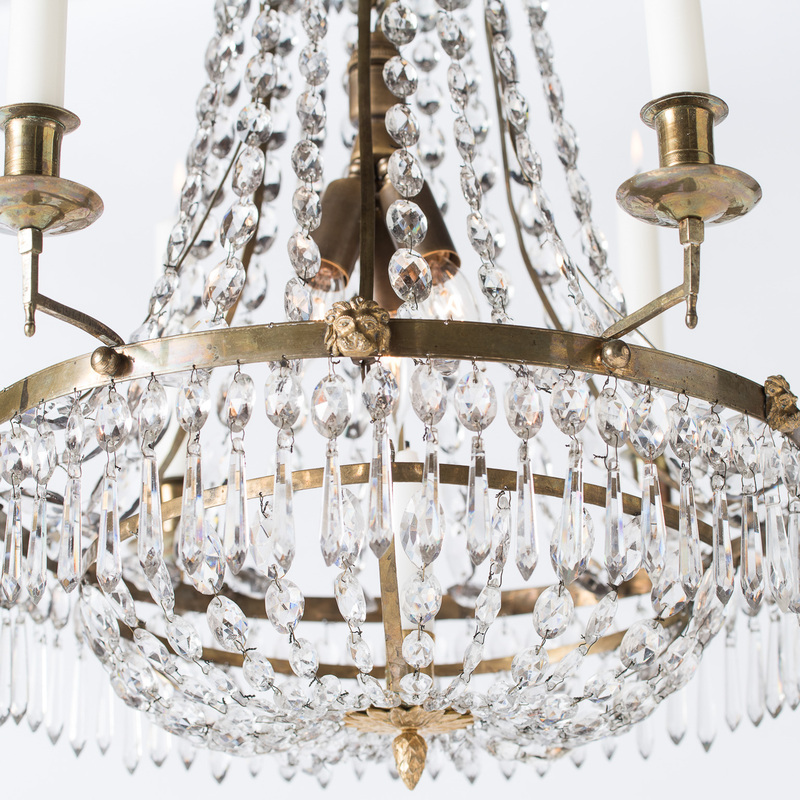 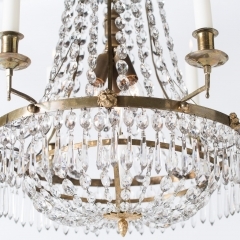 This elegant chandelier has six candles mounted on a brass ring and one in the center pan. 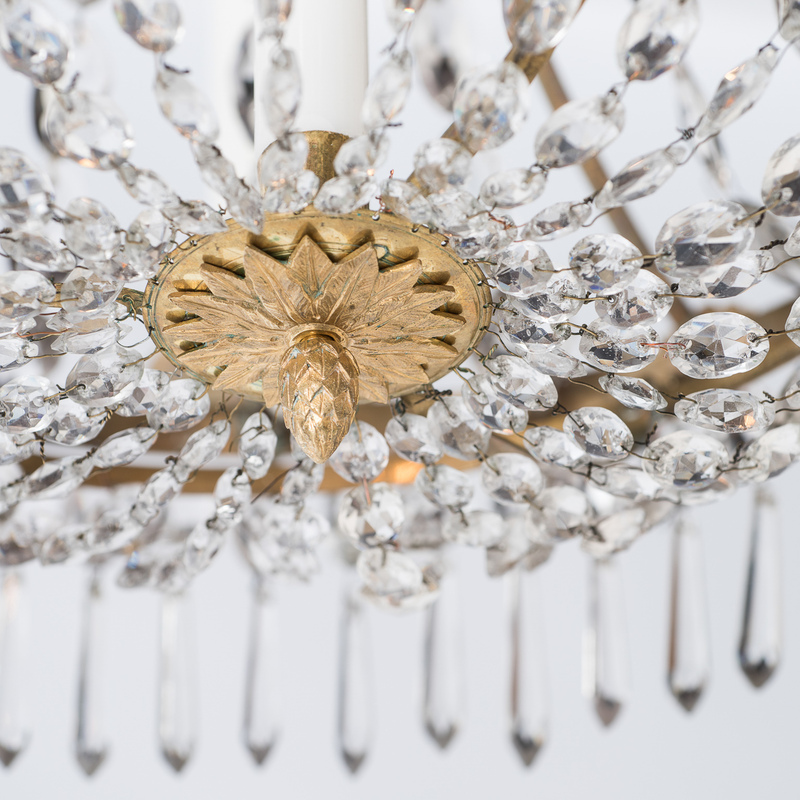 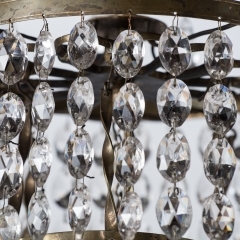 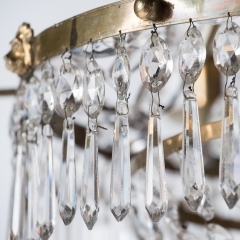 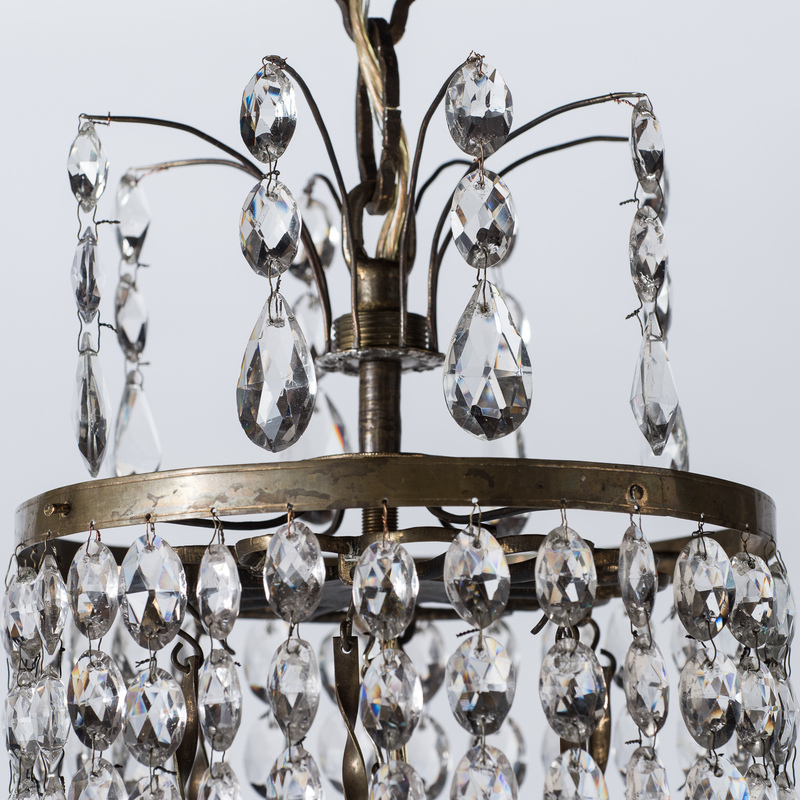 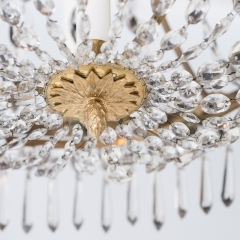 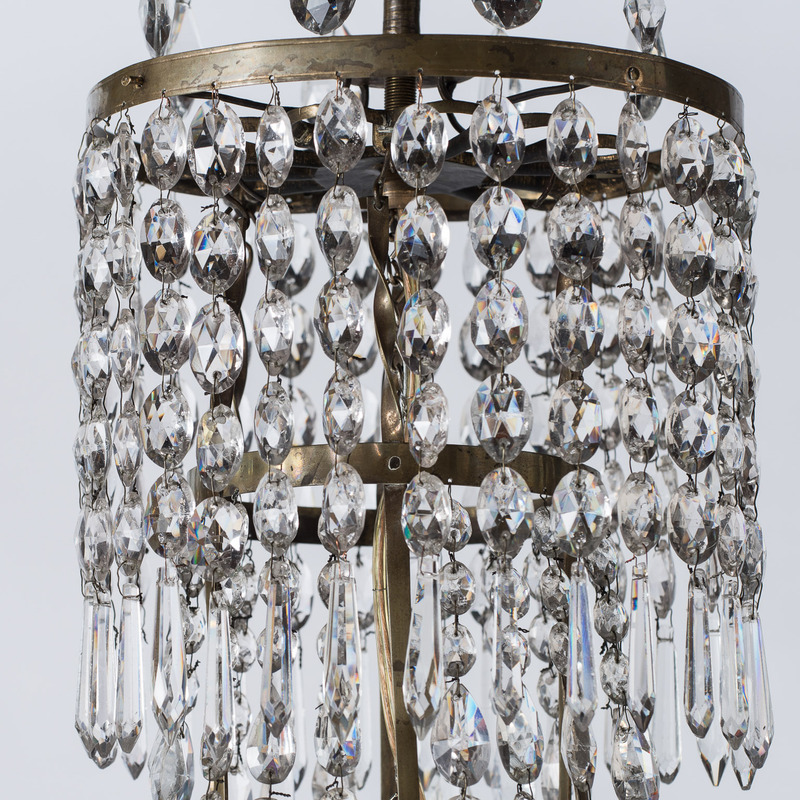 The chandelier retains most of its original hand cut crystal prisms, which have wonderful spectral color refractions. The main body has the traditional swedish decorations of Lions heads, and a pineapple finial adorns the bottom. 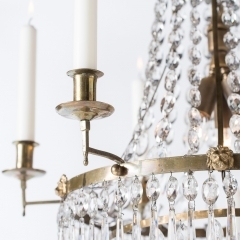 The refined simplicity of the design makes it very appealing. 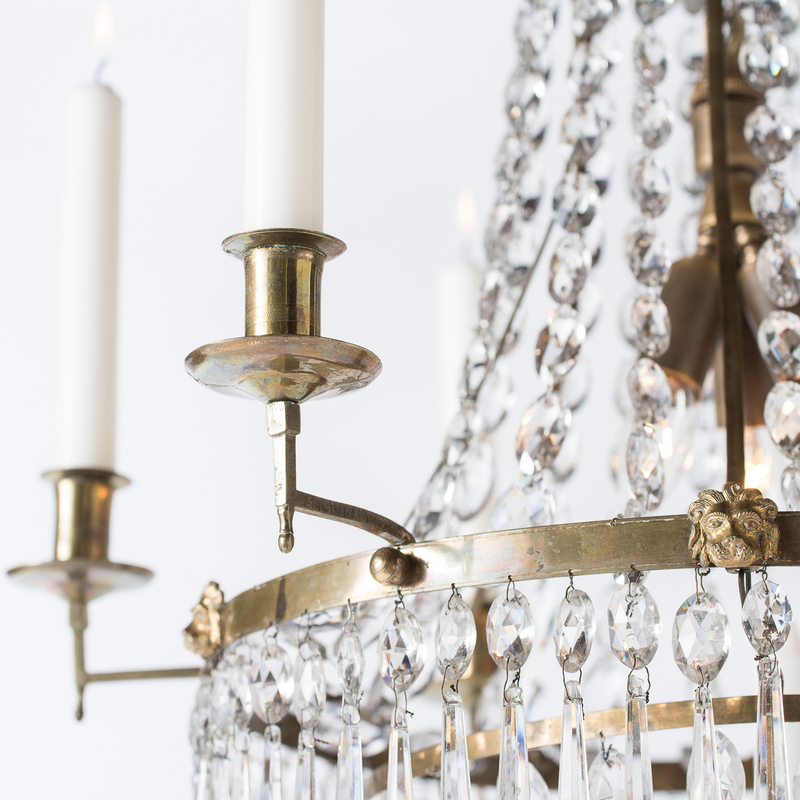 Recently rewired.